This week we introduce the Kelowna location to share their experience and local insight! 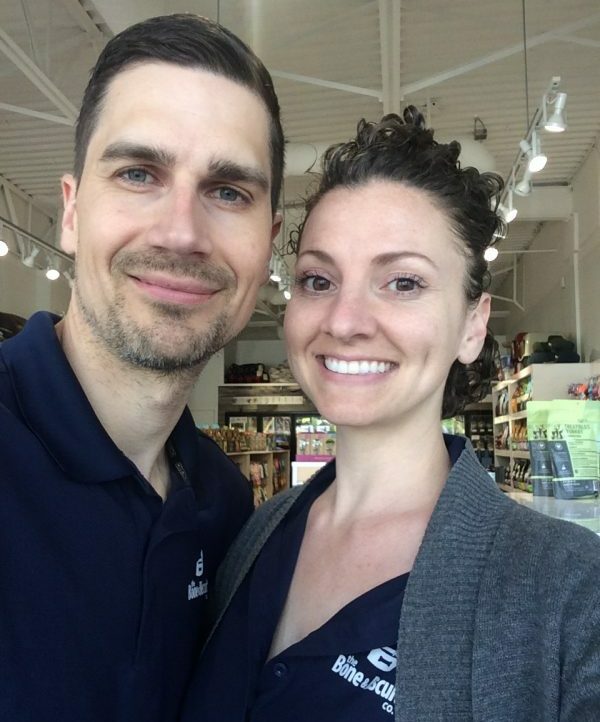 Read on to learn about these 2 store owners as they share their story. Our location opened in 2008, with our current owners Sheldon and Lauren stepping in, in June 2013! We are husband and wife operators and family owned. Bone & Biscuit Kelowna is located in Orchard Plaza, in Kelowna BC! We feel extremely fortunate to share the plaza with other health-conscious businesses such as Nature’s Fare, Mountain Equipment Co-op, Steve Nash Fitness, Chevy’s Source for Sports and Rocky Mountain Fitness (just to name a few). Our best-selling product at the moment would definitely be our True Hemp supplement line from True Leaf Pet. There is a Calming, Immune & Heart, and Hip & Joint formula. Offered in chew, stick, or oil form delivering a full spectrum of health benefits for pets. True Hemp helps to provide calm, balance, immunity and hip/joint support for our beloved animal companions, large and small. And, they are based out of Vernon BC! Another best-selling product that flies off the shelves, would be our West Paw toys. They are non-toxic and latex-free, 100% recyclable, dishwasher safe, and are guaranteed tough! Our customers swear by them. Sheldon & Lauren Tuck. Husband and Wife partnership! Our family has been such a huge help with everything involving the Bone and Biscuit. From opening in 2013 to our store renovation in spring 2018! We absolutely wouldn’t be where we are today without the support of our family. We have 2 dogs! 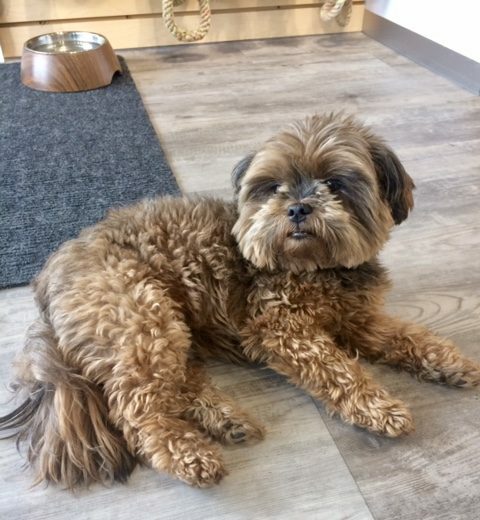 We have Cooper who is a 10-year-old Shih Tzu/Pom/Poodle cross. He is our blonde bombshell with the most soulful personality. He is pure love and brings endless happiness to us. Nothing makes him more blissed out than an adventure in the car, en route anywhere! With the windows down, his hair blowing in the wind, and his nose sniffing a million miles a minute-our happiness! Then comes our sweet little brownie, Diesel! 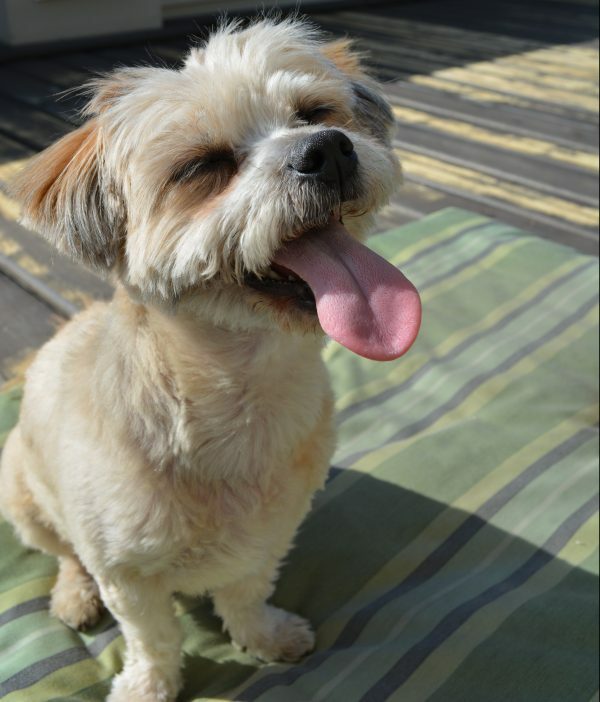 He is an 8-year-old Shih Tzu/Toy Yorkie. He is the most beautiful little guy with a mega personality, weighing in at a whopping 8 pounds. He is often labeled as ‘shy’ and ‘independent’, but once you gain his trust- look out! He loves to lay on his back waiting for belly rubs/kisses while he wags his tail. He shows his excitement with us coming home or people coming over, by finding his favorite blue JW toy and squeaking it non-stop. We are forever grateful that these sweet boys bless our lives every day. Sheldon grew up in a small town in Saskatchewan and was always surrounded by their family’s German shepherds, horses, and cats. At one point, they even rehabbed an owl! Lauren grew up on BC’s West Coast, and always had animals; cat, dogs, hamsters, and a rabbit. She volunteered at the SPCA when younger, and has always had a deep love for all animals. Our passion and knowledge in our own holistic health journey, poured over into our dog’s, as we wanted our boys to be as healthy and happy as possible. Diesel had a compromised immune system when we got him. And we have seen first-hand how raw food and supplements have healed him from the inside out. With our experiences, we felt the need to share with our community, as we want to help dogs and cats thrive. 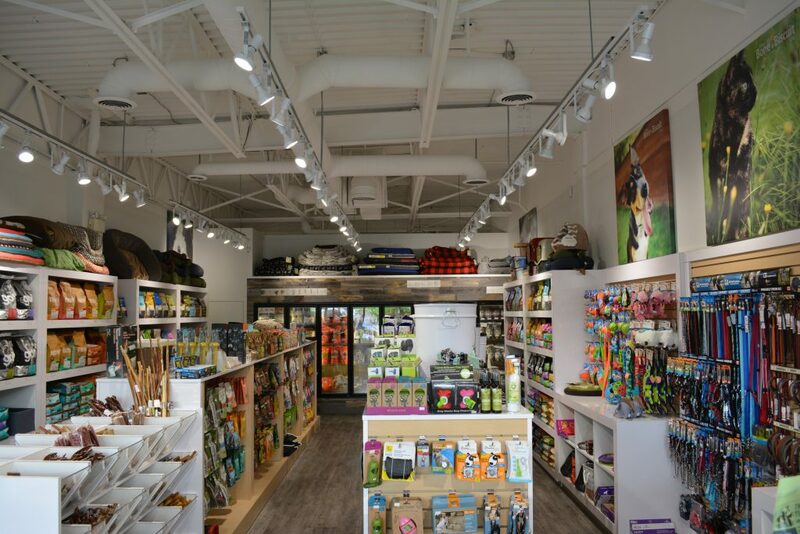 9. Cooper and Diesel hit the jackpot now that you run a specialty pet supply store! What kind of toy/treat do Cooper and Diesel currently love? Cooper and Diesel obsess over any and all the raw food and bones we carry (Stella & Chewy’s, Pets Go Raw, Nature’s Variety and Carnivora). They are certainly not picky with treats, but if they had to choose their faves it would be the CocoTherapy line. 100% human grade, organic, and non-GMO ingredients. With organic coconut being the first ingredient, it supports their digestive health, skin and coat health, brain and oral care health. Not to mention, delicious! Their favorite toy would have to be anything they can tug between the 2 of them. Hemp ropes are especially loved! Preventative health is extremely important to ensure your dog or cat is as healthy as possible. The goal should be to help protect, promote, and maintain health and well-being, and to prevent disease. The best way to do this is through a biologically appropriate food and supplementation such as probiotics, omega’s, antioxidants and immune boosters. A strong immune system is key! Thanks for the spotlight Lauren & Sheldon!